This Rottweiler female was not owned by Our Rottweiler kennel. 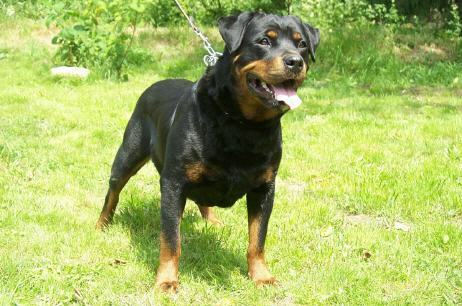 She IS a ADRK Rottweiler female that produced excellent Schutzhund dogs. Emmy is the mother to our female Rottweiler Akura von den Grundwiesen. 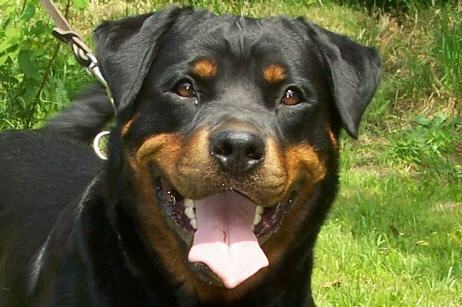 The vom Rangau kennel is world known and has an excellent reputation in the Rottweiler world. Emmy is a medium sized female and has a nice feminine head. Her As Rottweiler breeders, I believe you would be happy with a Rottweiler puppy from this bloodline. Check out our Rottweiler puppies for sale.